Webkon makes your legal practice accessible to clients 24/7. 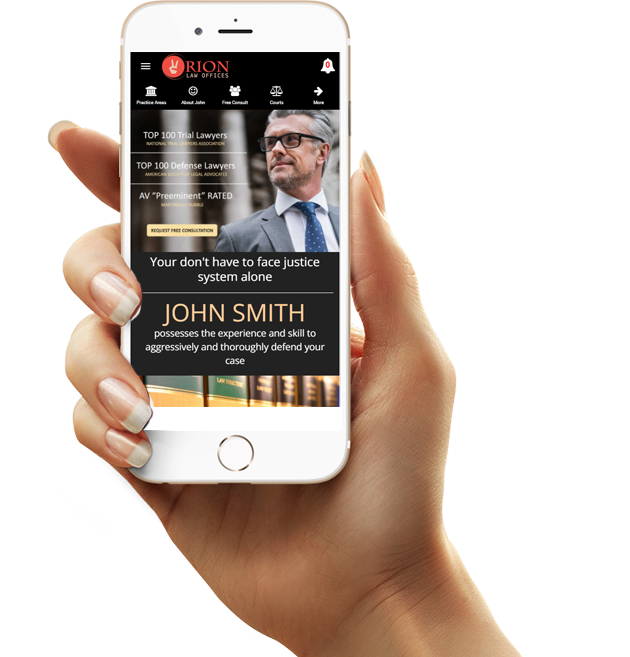 Clients seeking legal advice are more likely to locate your practice through progressive web apps. Increase your Google ranking and offer new clients an easy way to browse your services, experience, and reviews.. Display profiles for every legal professional in your practice to showcase their expertise, experience, and availability. Eliminate barriers between new clients and your practice by allowing users the capability to instant message attorneys. Users can launch your web app from a URL your business broadcasts on Facebook, in an online ad, QR code, or text message. Webkon’s 3rd party integration with Appointy empowers users to request consultations via your web app. Access and manage your content from anywhere using the Webkon cloud. Users can submit reviews about attorneys listed on your site and provide valuable feedback about your app. Legal services are best offered by best in class advocates. The legal advisory body can display a huge list of as many advocates and advisers as they want. They can also showcase their past professional records and their successful cases that they managed. As the Webkon apps support Data Analytics, it becomes easy for the advocates to track their service records. With the help of data analytics tools, the lawyers can get an idea of the trending cases that they receive the most, most popular case, recurrent clients, balance sheets and much more. Webcon app offers legal services including business registration, intellectual property, tax returns and filing , consumer protection, legal documents, licences and registration, and much more. With such a variety of legal services, you can definitely acquire a huge base of customers. Lawyers who are registered with the app can update content that they want their users to know.They can keep adding new success stories or a new type of case entry or guidelines for certain issues or process of handling a certain type of case. They can also remove old irrelevant stories or news pieces that they feel is not needed any more. The interface offered by the Webkon app is simple and convenient to use. it requires no or little training to use this app. With a little knowledge, even a beginner can capture all the relevant data and submit a request form to get legal service matching his requirement. Webkon apps allow the users to instantly talk to a lawyer. With features that allow the users to post his concern and ask for a lawyer to connect, make the process of seeking legal advisory simple and hassle free. The lawyers can see the issue or concern in real time and can give a prompt reply. As Webkon app is a progressive web app, the users get URL that they can broadcast in channels like Facebook, Twitter, LinkedIn, SMS,and more. The end users who want to avail legal services can easily get in touch with the right lawyer and that also from the comfort of their couches. Webcon apps also allow the users to write their feedback, reviews, and comments after consulting a lawyer upon closing of their cases. By observing, analyzing, and interacting with old users, new users can take a decision on whom to chose for their case. Comments dashboard and feedback forms can really come handy.